Superintendent for Illinois State University Laboratory Schools Jeffrey Hill has accepted a position as superintendent for Morton Community School District 709 beginning July 1, 2017. Hill has served the Laboratory Schools since 2005, first as University High School principal and for the last five years as superintendent of the Laboratory Schools. Under his leadership the Lab Schools have implemented one-to-one learning, standards-based grading, and have had multiple national rankings in various publications. 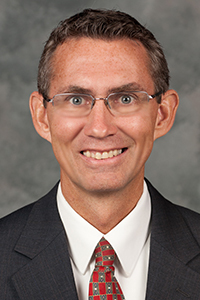 Dean of the College of Education Al Azinger will begin consideration for an interim replacement for Hill.